Not everyone who practices Reiki wants to use their training as a means to make a living. However, serving as a healer can be a very satisfying career. As a Reiki practitioner, you can take pride in your work and make a difference in your clients' quality of life. If you are thinking about setting up a Reiki practice, consider the following tips before getting started. There are three levels of basic training in Usui Reiki. You only need to be certified in the first level of training to offer Reiki treatments to clients. You will need to be certified in all levels in order to teach classes and give Reiki attunements to students. It is best not to jump in feet first setting up a Reiki practice until you have a clear understanding of your relationship with the workings of Reiki. Begin experiencing Reiki on a personal level through self-treatments and treating family members and friends. Experiencing all the inner workings of this gentle, complex healing art takes time. Reiki clears away blockages and imbalances gradually. Allow Reiki to help you get your own life in balance before taking on the task of helping others. You have the paper certification proving that you have completed your Reiki training and are now qualified as a Reiki practitioner. Congratulations! Unfortunately, this piece of paper might be meaningless when it comes to legally offering professional services in your area. Some U.S. states require a license to practice natural health therapies. And because Reiki is a spiritual healing art, in some states you may be required to become certified as an ordained minister. Calling your local city hall is a good way to begin your fact-finding mission; ask to speak to someone who can give you information about business licenses. Some municipalities also have this information on their websites, but it may not be easy to find. Consider obtaining liability insurance for your protection against possible lawsuits. I, the undersigned, understand that the Reiki session given involves a natural hands-on method of energy balancing for the purpose of pain management, stress reduction, and relaxation. I understand very clearly that these treatments are not intended as a substitute for medical or psychological care. I understand that Reiki practitioners do not diagnose conditions, nor do they prescribe medicines, nor interfere with the treatment of a licensed medical professional. It is recommended that I seek a licensed health care professional for any physical or psychological ailment I have. I understand that the practitioner will be placing hands on me during the Reiki session. Reiki sessions are being offered in hospitals, nursing homes, pain management clinics, spas, and home-based businesses. The benefit of working in a hospital, clinic, spa, or elsewhere is that appointment bookings and insurance claim filings are usually taken care of for you. 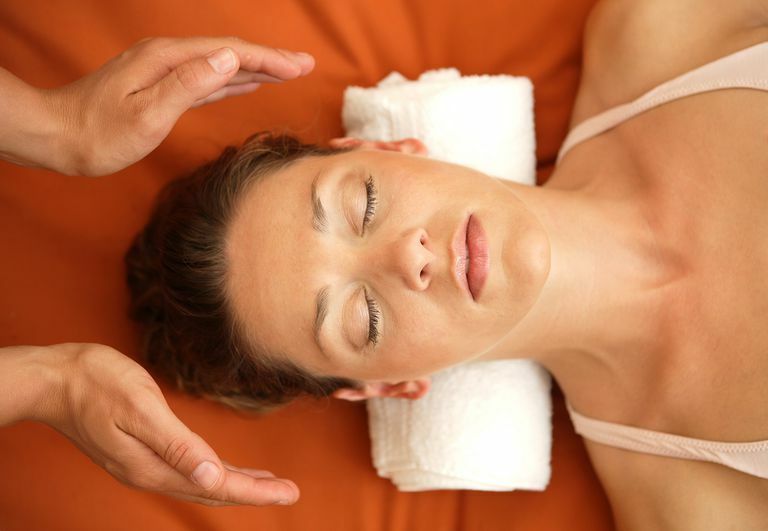 Most health insurances do not reimburse for Reiki treatments, but a few do. Medicare sometimes pays for Reiki treatments if the sessions are prescribed for pain management. Practicing from a home-based office is a dream come true for many practitioners, but this convenience comes with issues to consider. Do you have a room or area within your home, separate from your normal living quarters, that could be dedicated to healing? Does the residential zone you are living in allow home-based businesses? And, there is also the safety issue of inviting strangers into your personal living space to consider. Word of mouth is a good way to get started working as a Reiki practitioner. Let your friends and relatives know that you're open for business. Have business cards printed up and distribute them freely at local bulletin boards at libraries, community colleges, natural food markets, etc. Offer introductory workshops and Reiki shares to educate your community about Reiki. In the modern era, word of mouth also means having a presence on social media. Setting up a Facebook page for your practice is free and only takes a few minutes. Ideally, you'll have your own website that lists your location and contact information, but if that's out of reach, a Facebook page is a good start to draw in new clients. Facebook also has tools that allow small businesses to reach a targeted audience (costs will vary). Research what other Reiki practitioners are charging in your area for their services. You will want to be competitive, but don't undercut yourself. Do a cost-benefit analysis and know how much you need to earn—whether it's per hour, per patient or per treatment—to cover your expenses and have some money left over. If you arrange to treat clients outside of your home, chances are you will either pay a fixed rate for a rental space or share a percentage of your session fees with your host business. Keep good records of the money you are earning. Working as an independent contractor involves being informed of your income tax and self-employment obligations.